Six teenagers have been arrested after a video emerged appearing to show a former Sikh temple being trashed. The video was originally posted on Snapchat and has since gone viral. It appears to show the youths causing damage by to the derelict site in Clarence Place by smashing plates and throwing around long pieces of wood or metal. Police were notified of the incident at 12.07am yesterday (June 23). It is understood the building was a former Sikh temple and had stood derelict for a number of years. Four 16-year-old boys and a 15-year-old boy, all from the local area, were arrested in the connection with the incident yesterday afternoon (June 14). A sixth teen has also since been arrested. A Kent Police spokesman: “We do not underestimate the impact that a crime of this nature may have on a community and would like to reassure the public we are taking the report very seriously. The spokesman added, at the present time, there is nothing to suggest the incident was a hate crime. The video, which was shared on Snapchat and later on Facebook, has been watched almost 90,000 times since it was uploaded yesterday (June 22). More than 1,000 people have commented on social media, many branding the teenagers, who appear to be mainly boys, as “disrespectful” and “idiots”. 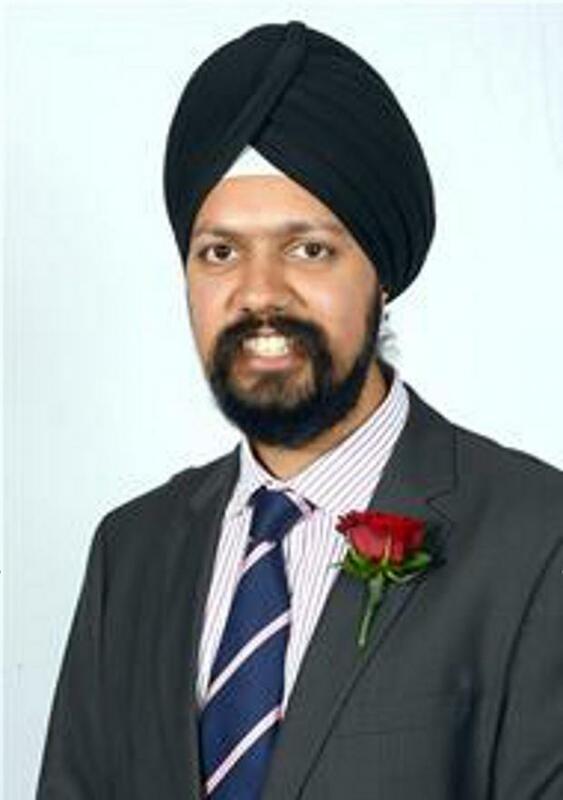 Former Gravesham councillor Tanmanjeet Singh Dhesi said in a statement: “Vandalism, even of a building that has been empty for about five years, is highly disrespectful and disappointing to say the least. “We together have all done a great deal in ‪Gravesham‬ over the years to build a united and integrated community. A spokesman said: “Kent Police was to a report of criminal damage at a derelict property in Clarence Place, Gravesend. LONDON: A disused gurdwara in southeast England has been vandalised by a group of teenagers, a video circulating on the social media today showed, prompting police to probe the incident. 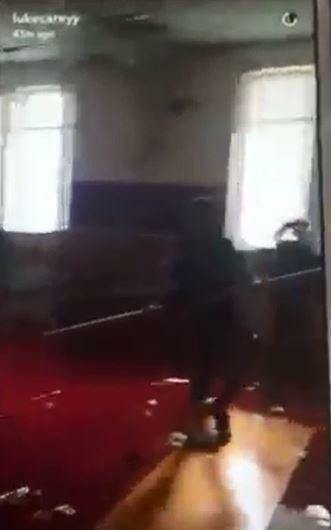 A large number of teenagers, mostly boys, can be heard laughing and cheering as they smash displays, throw crockery and caused damage in the empty place of worship in a video posted on SnapChat. “We have been informed of the video that is circulating social media and have been working with Kent Police to ensure this matter is dealt with seriously. 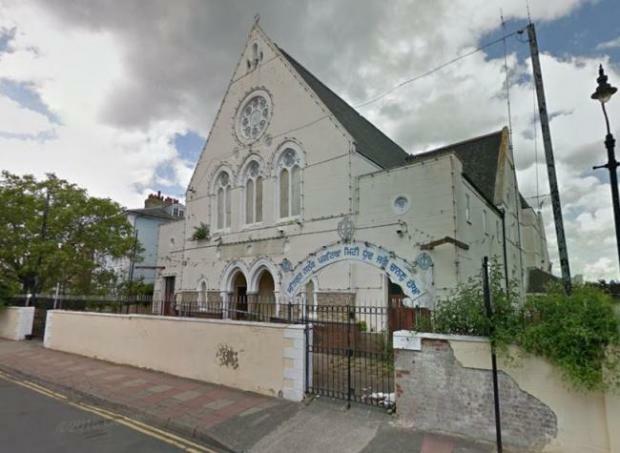 We will be working to re-secure the building as soon as possible,” said a spokesperson for the former gurdwara in Gravesend, Kent. The video was shared via SnapChat and captioned: “Temple got mash up” and was later posted in a local Facebook group in Gravesend. The building has been empty for a few years as it awaits planning permission to be sold to a developer to convert into flats. A new grand gurdwara, named Guru Nanak Darbar, had opened in Gravesend in 2010.